This is a Border. It is dated late 16th–early 17th century and we acquired it in 1962. 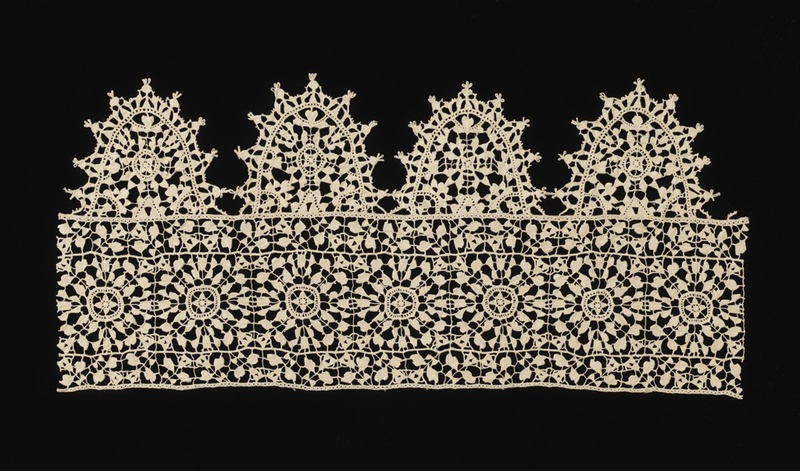 Its medium is linen and its technique is grid of laid cords with needle lace (reticella style), edge of punto in aria. It is a part of the Textiles department.